The Max Terminator Suit™ is one of IRONWEAR®'s heaviest patented soft Flex-metal® weight suits, designed to spread the maximum amount of weight over the entire body. The Max Terminator Suit™ provides maximum resistance to all your movements. 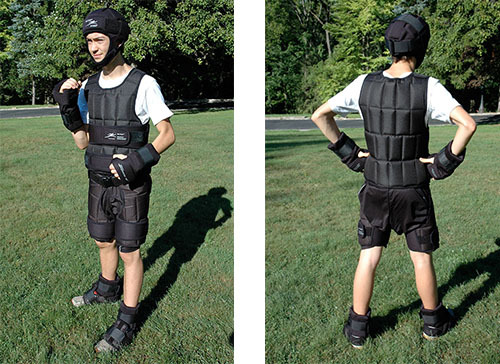 The Max Terminator Suit™ is adjustable from 10 to 100 pounds and is supplied at 100 pounds.